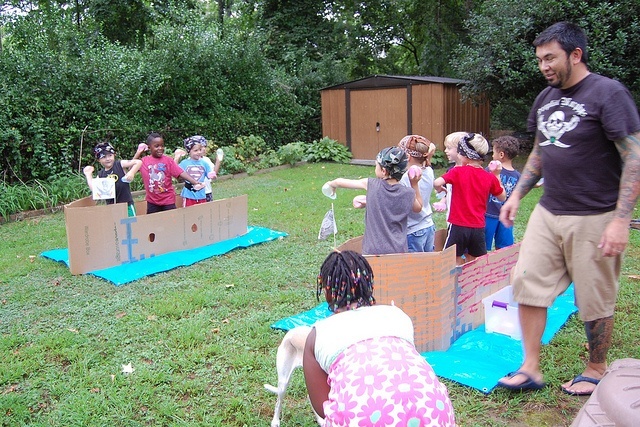 Any party with an inflatable bounce house or obstacle course will be a hit. 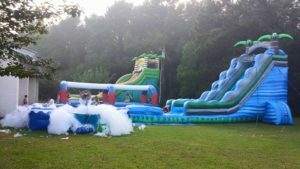 Inflatable rentals provide kids and adults alike with hours of entertainment at a reasonable price. Look for beach-themed units, like the Tropical Titan water slide with a splash pool, or the backyard tropical obstacle course. The kids won’t even care that they’re not at the beach! If you’ve already spent money on inflatable rentals, look for other easy entertainment options. Pick up cheap items like beach balls, water balloons, and hula hoops at the dollar store, and set up a net for “beach” volleyball matches. It’s easy to create an oceanfront atmosphere without spending a lot of money. Drape colorful beach towels over your patio furniture for a beachy vibe. Lay a colorful plastic tablecloth across each table, and sprinkle sand and small seashells across the center of the table for a unique centerpiece. Sand can be purchased at your local home improvement shop, and seashells can be purchased at craft stores. Add some tea light candles to the table for an elegant touch. The rest of the yard can be decorated with bright, Hawaiian-style flowers, which can also be picked up at a craft store. For evening parties, white Christmas lights can be strung around the yard to create some ambiance. Set the mood with an island-inspired playlist. 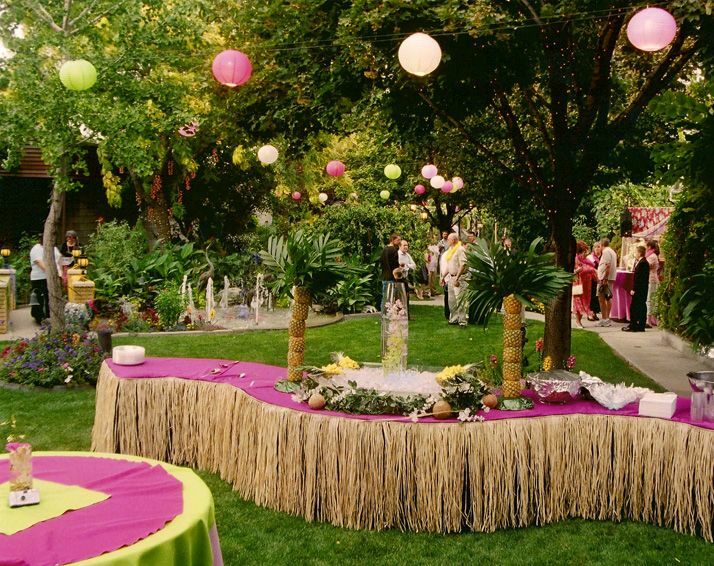 If you choose to serve food, consider saving money by asking each guest to bring a beach-themed appetizer or dessert. 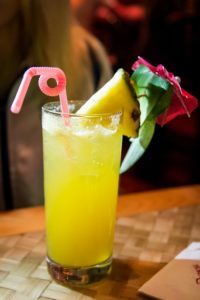 For beverage-only parties, serve guests bright, tropical cocktails, mocktails, or snow cones. In addition to beach-themed inflatable rentals, ocean-inspired decor, and tropical beverages, we’d love to hear your suggestions for a Labor Day beach party!